A brilliant new crime novel from the beloved, bestselling, and award-winning master of the genre--and Joe Pike's most perilous case to date. Joe Pike didn't expect to rescue a woman that day. He went to the bank same as anyone goes to the bank, and returned to his Jeep. 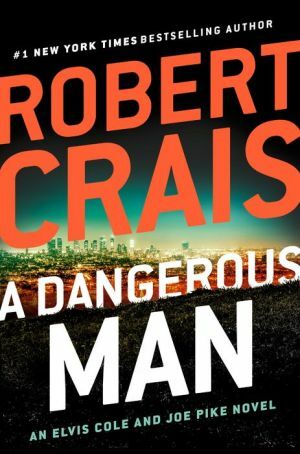 So when Isabel Roland, the lonely young teller who helped him, steps out of the bank on her way to lunch, Joe is on hand when two men abduct her. Joe chases them down, and the two men are arrested. But instead of putting the drama to bed, the arrests are only the beginning of the trouble for Joe and Izzy. After posting bail, the two abductors are murdered and Izzy disappears. Pike calls on his friend, Elvis Cole, to help learn the truth. What Elvis uncovers is a twisted family story that involves corporate whistleblowing, huge amounts of cash, the Witness Relocation Program, and a long line of lies. But what of all that did Izzy know? Is she a perpetrator or a victim? And how far will Joe go to find out?